Easy, flavorful chicken thighs make an excellent meal and they're easy on the budget. In this recipe, chicken thighs are slow cooked with a well-seasoned barbecue sauce. Serve this chicken with coleslaw and potatoes for a tasty everyday meal. Great in sandwiches or on its own with mashed potatoes, macaroni and cheese, or salads. The chicken pictured is shown with homemade slider buns and coleslaw. Double the recipe for a crowd. This is a great dish for a party, game day gathering, or tailgating. Shred the chicken and keep it warm in the crock pot for serving. Put flour, garlic powder, mustard, salt, and pepper in a food storage bag. Add chicken a few pieces at a time and shake to coat thoroughly. Heat oil in large skillet or saute pan. Add the chicken to the hot pan and brown on all sides. Put half of the barbecue sauce in the crockpot. Add the chicken and then add the remaining sauce. Cover and cook on low 6 to 7 hours, or until chicken is very tender and easy to shred. 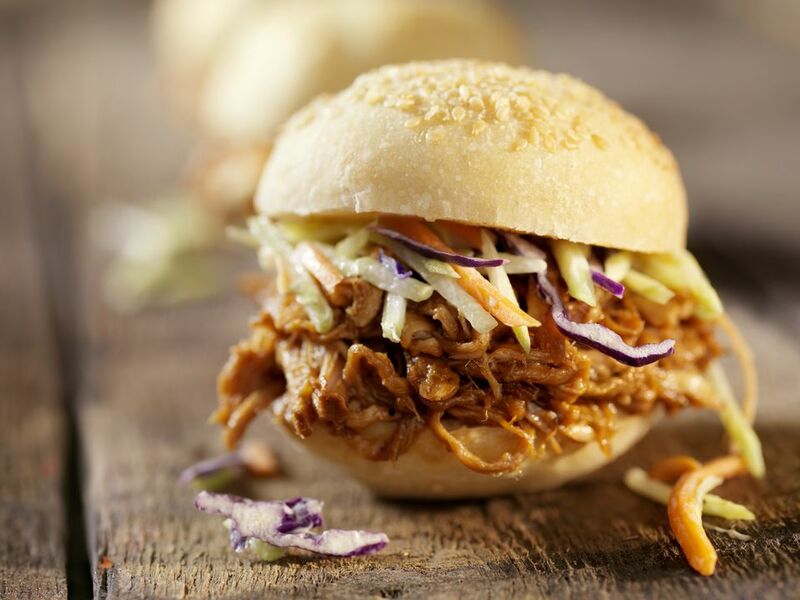 Shred the chicken and use it to fill hamburger buns or slider buns. Serve it along with coleslaw and fries or baked beans.